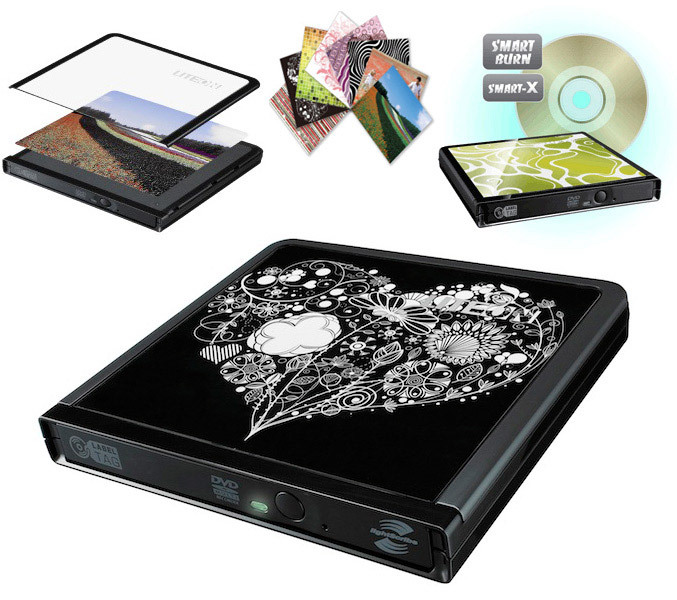 Lite-On reveals a new external slim DVD writer, which allows users to customize the drive cover with their favorite printed images. The compact and light eNAU608 is USB powered, compatible with all common DVD and CD formats, comes bundled with a number of pre-printed design templates and also a simple software application, which allows users to create their personal cover design. The eNAU608 also feature SMART-X technology, Lite-Ons patented LabelTag function, which allows you to burn a text label onto the burning side of any brand of disc and also Lightscribe, which uses the drives laser on compatible discs to produce grayscale images. The eNAU608 is available from November 2010, with MSRP € 59.